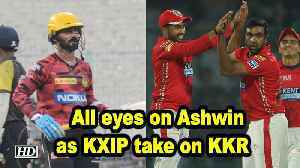 In the ongoing IPL match between Kings XI Punjab and Royal Challengers Bangalore, captain Ravichandran Ashwin won the toss and opted to bowl. Former New Zealand cricket Head coach Mike Hesson, who is now guiding Kings XI Punjab in IPL in a chat with TimesofIndia.com, spoke about the Punjab squad balance, Ashwin's captaincy, managing the..
▶ Videos for "Kl Rahul"
Kings XI Punjab is all to set to clash with Royal Challengers Bangalore in the 42nd match of IPL at Chinnaswamy stadium. Hardik Pandya and batsman KL Rahul to pay a fine of Rs 20 lakh each for their sexist remarks on TV chat show Koffee with Karan earlier this year. The players have to abide by the decision "within four weeks"
India all-rounder Hardik Pandya and batsman KL Rahul have been each ordered to pay 2 million rupees (about $29,000) towards charity within a month for their comments about women in a television.. 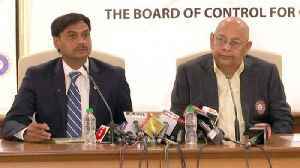 The BCCI Ombudsman directed the duo to pay Rs 1,00,000 each to the families of 10 constables in para-military forces who have lost their lives on duty. India cricketers Hardik Pandya and K L Rahul were on Saturday fined Rs 20 lakh each by the BCCI Ombudsman D K Jain for their sexist comments on a popular TV show. Hardik Pandya writes a heartfelt message for KL Rahul on his birthday. The national selectors announced the 15-member Indian squad for the ICC World Cup, starting May 30. KL Rahul and Dinesh Karthik have made the cut while Rishabh Pant misses out. Ambati Rayudu, KL Rahul or Vijay Shankar - Who misses out? Indian cricket team to choose its World Cup squad on 15 April. What was common in the dismissals of Punjab batsmen KL Rahul, Mayank Agarwal and Sarfaraz Khan against Bangalore in Mohali? A six was followed by a wicket on each of the three occasions. Who will be the designated number four batsman for India at the upcoming ICC ODI World Cup? 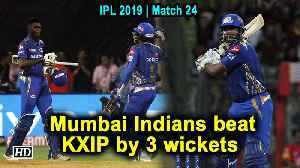 While many contenders have thrown their hats in the ring for the spot, the Indian selectors will have their..
Stand-in captain Kieron Pollard's sensational 83-run knock put KL Rahul's maiden IPL hundred in the shade as Mumbai Indians pulled off a thrilling last-ball three-wicket win over Kings XI Punjab on..
IPL 2019 MI vs KXIP: KL Rahul smashed Hardik Pandya for 3 sixes and one four in the 19th over. [India], Apr 10 (ANI): Indian batsman KL Rahul, will depose before Board of Control for Cricket in India (BCCI) ombudsman DK Jain in Mumbai on Wednesday for making sexist comments on a TV show. Hardik Pandya on Tuesday deposed before BCCI Ombudsman DK Jain for making sexist comments on a TV chat show while his India teammate KL Rahul will be doing the same ahead of the IPL game between Mumbai.. Led by seasoned Harbhajan Singh, Chennai Super Kings spinners put on a dominating show to help the side reclaim the top position with a 22-run win over Kings XI Punjab in an IPL match, here Saturday. India batsman KL Rahul is "very respectful towards women," Kings XI Punjab co-owner and noted actor Preity Zinta said. With the Board of Control for Cricket in India (BCCI) ombudsman D.K. Jain sending out notices to India all-rounder Hardik Pandya and opening batsman KL Rahul to depose before him as an enquiry is..
Pandya and Rahul were provisionally suspended by the Committee of Administrators (COA) for their loose talk on chat show "Koffee With Karan" before the ban was lifted pending an inquiry by the..
India and Kings XI Punjab batsman KL Rahul is one of the most exciting batting talents in the country. He is not always the most consistent, but when he does strike form he usually makes the most of..